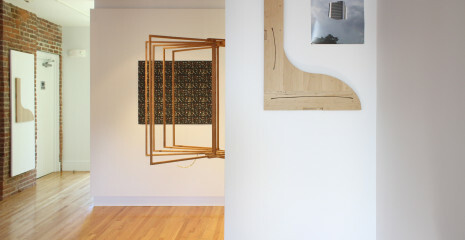 For Fernando, artists Trisha Baga, Lukas Geronimas, and Mads Lynnerup collaborate with curator Terri C. Smith to develop an exhibition that is informed, in part, by Franklin Street Works’ location in the city of Stamford, Connecticut, and its unique position as a new alternative art space. Preparations for Fernando began this summer with Baga, Geronimas, Lynnerup, and Smith embarking on a two-day orientation in Stamford that included: tours of the Avon Theatre and NBC studios; discussions about Stamford’s downtown revitalization and historic architecture; and visits with civic leaders. Through ongoing exploratory approaches, the artists will continue developing deeper understandings of Stamford’s communities, organizations, and infrastructures as their original projects unfold. The exhibition’s structure promotes surprises and flux, fostering situations that welcome improvisation and experimentation.